Food & Bottling Industry workhorse. Marks a variety of materials. 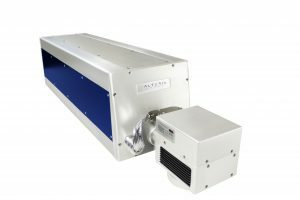 Far Infrared Lasers have been proved to be cost effective and very reliable over the past 30 years. High precision marking without thermal effects. Used on metals, plastic and other specialty materials. 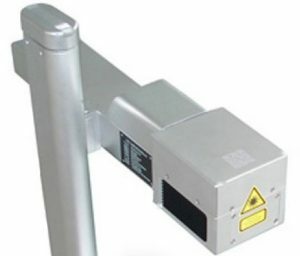 Long life solid state Laser source that lasts a lifetime. Cold marking intrinsically safe for plastics, neoprene and silicone. Used for Petrol, Chemical, Aerospace, Automotive industries. High technology marking is here! 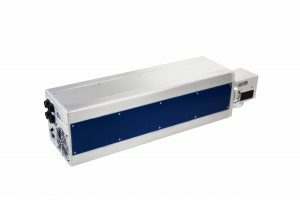 Most flexible Laser controller on the market works with any Laser/Steering system. Linux O.S. running on a performance ARM/F.P.G.A. high technology processor. Contact us with your marking and coding requirements or to get more information about how our products will fit your needs. 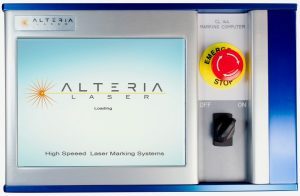 Read here a comparison between Laser marking technology and Ink marking systems. Get the facts about cost savings.